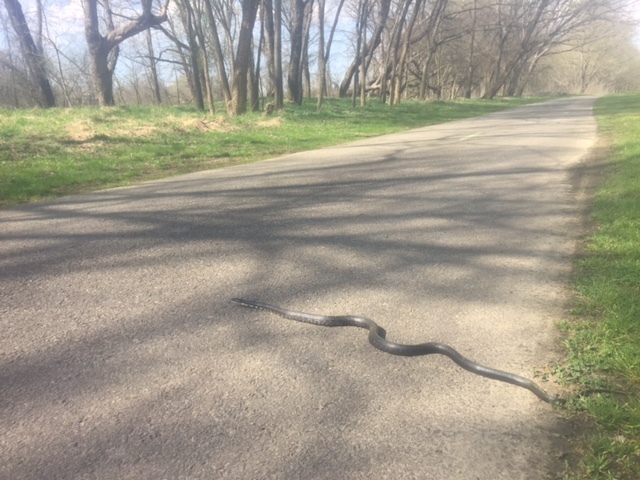 Some people look for groundhogs and their shadows, trail runners look for snakes. Saw this little guy yesterday while doing a rare pavement run. For the next few months trail running will consist of short bursts of adrenaline as I misjudge hundreds of roots, sticks and logs to be giant snakes. It will also consist of every so often almost stomping down on a copperhead and then literally passing out from fear. One of the many ways I am exactly like Indiana Jones.